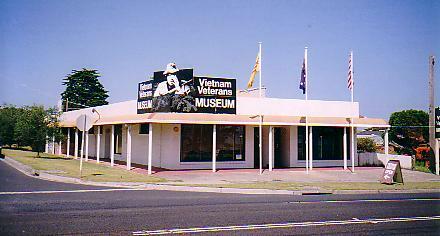 I have been collecting some items for the Vietnam Veterans Museum at San Remo to improve the Armour Display a bit. 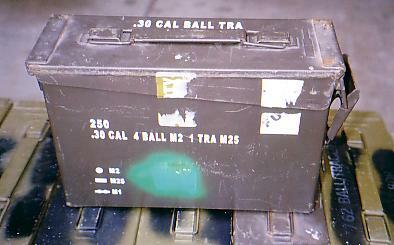 One item I was given was an Ammo rack that was fixed behind the Cupola lid on the Centurion. 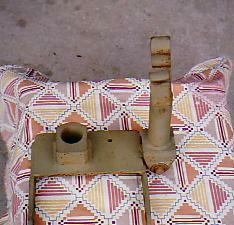 The one below is off a troop tank and holds 10 liner boxes. 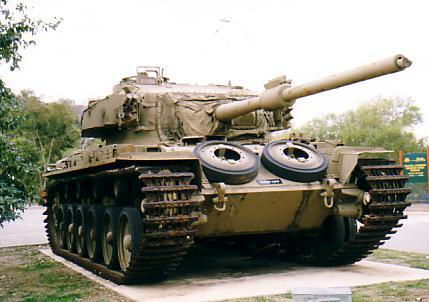 The Command tank which holds another radio also has another antenna mount that is placed at the left hand side of the Ammo rack. 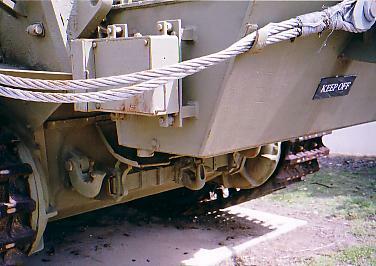 To make room for this the ammo rack is cut down and the section to the right of the radio compartment is cut off allowing only seven liners to be carried. 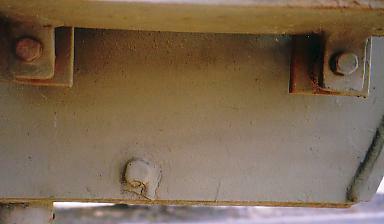 The rack in its smaller shape, is bolted to the original bolts on the right hand side thus making more room on the left hand side, for the antenna. 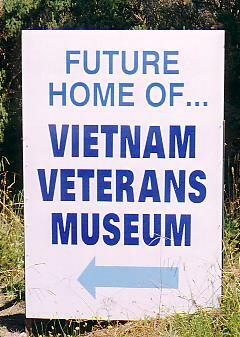 I felt it would look good displayed as it was when in use in Vietnam. It held .30 cal liners and a PRC10 pack radio. The radio's were repaired and passed on to the Cadet Corps and so were very hard to acquire items, but I managed in time to obtain one. Anyone have a quart of army flat green paint, its also very hard to obtain????????????? 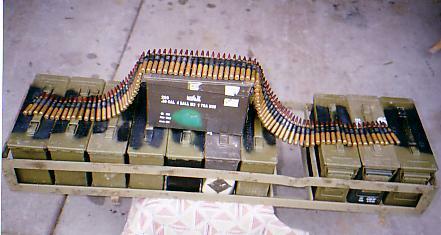 I was also lucky enough to obtain some drill rounds and clips, and believe you me, these were bloody hard to acquire. But I contacted Gordon Muddle via the NSW Lancers Museum. 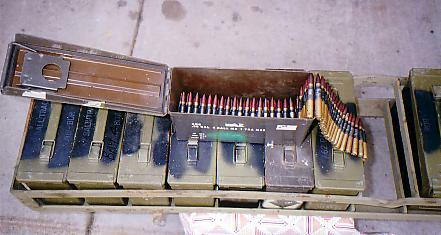 Gordon is a collector and licensed so he was able to not only supply some dummy drill rounds but also paperwork to make it all nice and legal. They came with clips to make up a belt and as a bonus some empty blanks cases. 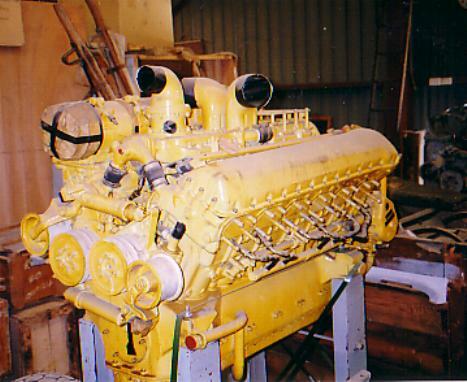 I had to drive to Albury to pick up the ammo as it could not be sent by mail. On the way back I called into Wangaratta to take some photos of the Dozer, ARV and Bridge-layer there, but alas they have now been moved. I wonder if they have gone to the scrap metal dealer like the ones at Gerogery? No it took two days but have traced them to Winton Raceway, Tim Vibert owns a property there and they were shifted over there, at least they are still intact. As the .30 is obsolete this year I am hoping someone will donate one to me????? I later obtained this photo also from Vietnam, but again without any info. 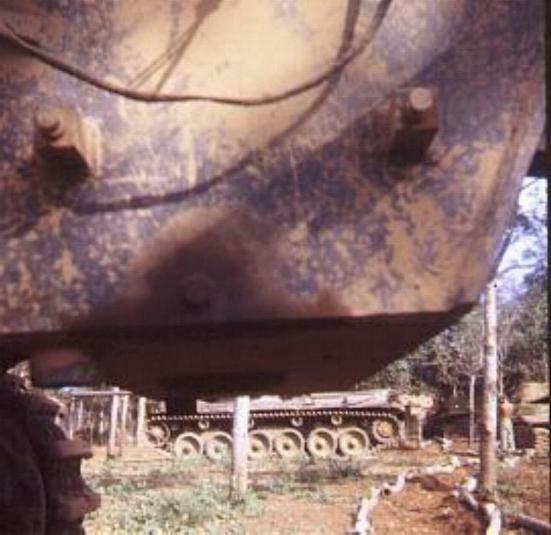 My thoughts at the time were that it was a photo of the tank in the background taken under the fuel tank for effect. But I was later informed that it was in fact a shot of a damaged fuel tank on Call Sign 31A. 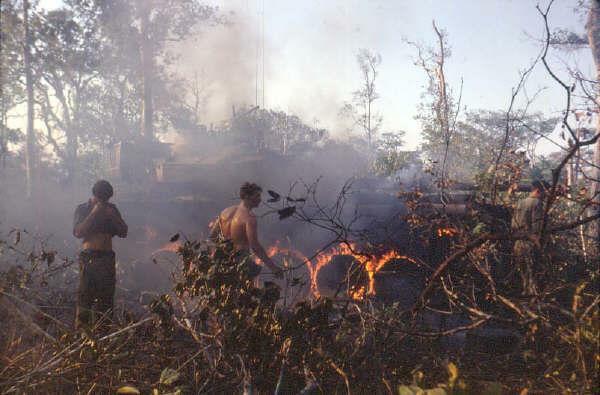 It had been hit by friendly fire and took a .50 cal in the tank. It was later still when I found out that it had caught fire and was in fact the tank on fire above! 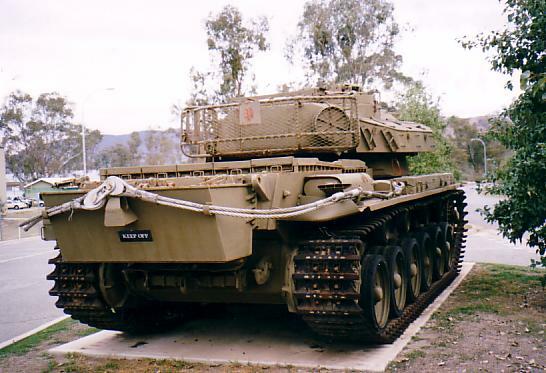 Then I started to wonder if the original tank was still fitted so it was another trip to Albury. On this occasion there were no security at the checkpoint so I just drove up and had a look, and sure enough there was the old bolt covered by much paint, but still doing the job after 35 years!